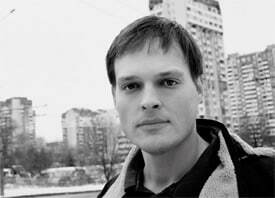 Garth Greenwell is a books columnist for Towleroad. He is the author of Mitko, which won the 2010 Miami University Press Novella Prize and was a finalist for the Edmund White Debut Fiction Award and a Lambda Award. A native of Louisville, Kentucky, he studied vocal performance at the Interlochen Arts Academy and the Eastman School of Music before deciding to be practical and study poetry instead. He holds graduate degrees from Washington University in St. Louis and Harvard University, where he was a Mellon Fellow. His poetry and prose have appeared widely in journals and anthologies, and he has received several awards for his work, including the Grolier Prize, the Rella Lossy Award, an award from the Dorothy Sargent Rosenberg Foundation, and the Bechtel Prize from Teachers & Writers. He spent seven years working as a high school English teacher, the last four of them in Sofia, Bulgaria, and is a committed advocate for LGBT youth. He’s now returning to the States to study fiction as an Arts Fellow at the Iowa Writers’ Workshop.